Furthermore Julian Beeston has donated all his Nitzer Ebb “access all areas” backstage passes to Stefan’s Livestrong fundraiser! Stefan will auctioning off the passes on Ebay soon! Keep an eye on it! 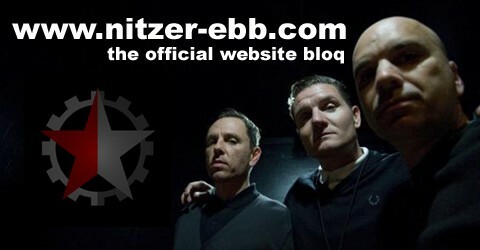 Nitzer Ebb are confirmed to play The Electric Frog Summer Festival 2011 in Glasgow / Scotland. The Band will be performing on Saturday, July 30th, 2011. NEP are the Headliner at Optimo Warehouse Party. Please check tour schedule site for venue information and ticket link.